We invite you to look through the six sections below as you explore this rich history of the Catholic Church in Pensacola and Northwest Florida. There have been many changes and great growth over these 450+ years. This brief history can only recall some highlights. The last section contains many references for additional exploration of Pensacola and the Church in Northwest Florida. In 2009, when Pensacola celebrated the 450th anniversary of the first settlement, we at St. Michael likewise celebrated the 450th anniversary of the Catholic presence in what would become the United States of America. It was on August 14, 1559 that a Spanish expedition, consisting of eleven ships under the command of Don Tristan de Luna y Arellano, landed on the shores of Pensacola Bay intending to establish a permanent settlement. In that expedition were 500 soldiers, 1000 settlers (among them, artisans, farmers, women, and children), five Dominican Friars, a lay Brother and 240 horses. In 2009 when Pensacola celebrated the 450th anniversary of the first settlement, we at St. Michael’s likewise celebrated the 450th anniversary of the Catholic presence in what would become the United States of America. It was on August 14, 1559 that a Spanish expedition, consisting of eleven ships under the command of Don Tristan de Luna y Arellano, landed on the shores of Pensacola Bay intending to establish a permanent settlement. In that expedition were 500 soldiers, 1000 settlers (among them, artisans, farmers, women, and children), five Dominican Friars, a lay Brother and 240 horses. Luna claimed possession of the territory for Spain. In honor of the Feast of the Assumption and of Philip II, King of Spain, Luna named the settlement Mission Santa Maria Filipina. Unfortunately, just over a month later on September 19th, a fierce hurricane struck the settlement, destroying many of the ships and nearly all of the supplies and provisions. In spite of resultant hardships, sickness, and lack of food, the group continued to labor for another year and a half to create a permanent settlement. Finally, after enduring further hurricanes, and after most of the members of the expedition had either moved inland, died, or gone back to Mexico, the settlement at Mission Santa Maria Filipina was abandoned. Spain rediscovered Pensacola Bay in 1693 and, in 1698, began construction on the fort and village of Presidio Santa Maria de Galve (aboard the present day Pensacola Naval Air Station). Archaeological evidence uncovered during a recent excavation of the Chapel at the Presidio revealed many graves beneath the church floor. Rosary beads, a crucifix and Jesuit rings were among the many Catholic artifacts discovered. After France attacked Spain in Europe in January of 1719 during the War of the Quadruple Alliance, French troops from Mobile attacked Presidio Santa Maria in May, burning it to the ground. 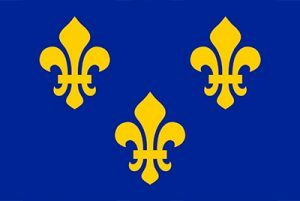 For the next two years French troops remained to occupy Pensacola. When Spain returned to Pensacola in 1722 at the end of the War, the new location selected for settlement was a militarily strategic site on Santa Rosa Island, lessening the threat of attack. Of the 50 buildings constructed at Presidio Santa Rosa, a 1743 drawing of the settlement shows three dominant structures – the commandant’s house, the governor’s house, and the octagonal shaped church. But, after enduring eight hurricanes over a thirty year period, Presidio Santa Rosa was abandoned in November, 1752 when a powerful storm effectively leveled the island. In the years following the storm, residents began to congregate on the mainland in what is now downtown Pensacola. In 1757, construction of a wooden fort was begun, which was christened Presidio San Miguel de Panzacola to commemorate St. Michael the Archangel. Inside its walls, along with the governor’s house and military buildings, was the Chapel of San Miguel. The Treaty of Paris in 1763, after the French and Indian War, found Great Britain agreeing to trade the captured port of Havana back to Spain in exchange for Florida. That agreement also contained the pledge that Roman Catholic subjects in Florida, already under the auspices of the Diocese of Havana, would be allowed to practice their religion “so far as the laws of Great Britain permit.” Word soon came, however, that Spain’s King Charles III was offering homes in Mexico or Cuba to all his former subjects in Pensacola and St. Augustine. This news created a mass exodus of Catholics from both towns. In 1781, Spanish troops under the command of General Bernardo de Gálvez, along with an armada of sixty-four ships, began a sixty-one day siege to recapture Pensacola from the British. Accompanying the invading force was Father Cyril de Barcelona, a Capuchin missionary and Chaplain to the troops. On May 8, at the end of the successful and historic Battle of Pensacola, Father Cyril blessed an old two story wooden warehouse on the waterfront for a church, permanently establishing the parish of St. Michael the Archangel in downtown Pensacola. Father Cyril was named auxiliary bishop for Louisiana and the Floridas in 1787, with residence in New Orleans. Bishop Cyril undertook an official visitation of East Florida where he conducted confirmations and other episcopal functions, interviewed the priests and residents, and conducted a census. He made a similar visitation to Pensacola in West Florida in 1791. Bishop Cyril reported finding a small frontier settlement in depressing poverty with only a few elegant houses, one tavern, and one trading company. His census recorded 572 souls, of whom 245 were Catholic. The year before his arrival, only seven Catholics had received Holy Communion during the Easter season. French speaking citizens had not had the opportunity of confession for nearly five years since the only priest, Father Estaban Valorio, did not speak French. Bishop Cyril saw to it personally that more than 70 parishioners of St. Michael received Holy Communion during his visit. Except for a failure to learn French, Bishop Cyril saw little need to criticize Father Valario, who was laboring with tremendous zeal under difficult circumstances. Pope Pius VI, in 1793, created the Louisiana diocese with Luis Ignacio Peñalver y Cárdenas as its first bishop. In addition to East and West Florida, the new diocese extended over an area that stretched north and east to the Diocese of Baltimore, and south and west to Mexico. Bishop Peñalver had difficulty getting priests to agree to go to Pensacola, writing that he “could not even get angels to go to Pensacola.” He visited Pensacola in 1798 where he found the church in “pitiful condition” and was unable to persuade parishioners to make the necessary sacrifices for a new church, even though the “temporary” warehouse/church was slowly falling into ruin. The only priest in town was Father James Coleman. 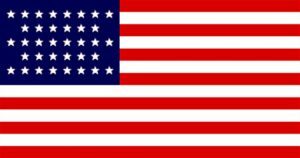 After the Louisiana Purchase in 1803, it was impossible for Spanish West Florida to remain under the now American New Orleans Diocese. In 1806 West Florida reverted to the Diocese of Havana. The year 1821 saw Spain relinquish control of the Floridas to the United States and remove government control from the church. With no church official willing to assume responsibility for the poverty-stricken territory, a solution was not found until June, 1825. At that time, Florida and Alabama were erected into a vicariate-apostolic with Father Michael Portier of New Orleans as Bishop. 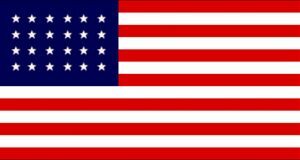 With this transfer of the territory from Spain to the United States, many Spanish subjects chose to leave while, at the same time, Americans began to arrive in increasing numbers. Catholics in all of West Florida in the 1830’s numbered only about 2,000. A Mexican priest, Canon Matías Monteagudo, ministered to the parishioners, while Father Andrew Poujade, newly ordained from France, briefly assisted in 1831. Bishop Portier, who had arrived in Mobile in 1826, had discovered that, although his territory seemed huge, the only three churches were in St. Augustine, Pensacola and Mobile. The original warehouse/church on Zaragossa Street in Pensacola finally collapsed at the beginning of 1831. Though hindered by poverty, the congregation resolved to build a new church. Bishop Portier gave what assistance he could and presided at the laying of the cornerstone on February 6th, 1831. Just as the new structure neared completion, it was destroyed by a hurricane. A new start was made; new and serious debt was incurred. By 1833, the building at the corner of Jefferson and Church streets was successfully completed. Pensacola Catholics, for the first time in their history, had a suitable place of worship. Father John Symphorian Guinand, another newly ordained priest from France, was assigned to St. Michael as permanent pastor. By 1850, there were churches and congregations in Mobile, Spring Hill, Summerville, Mount Vernon, Fish River, Pensacola, Tuscaloosa, and Montgomery. Bishop Portier was probably relieved by the detachment of the eastern portion of Florida (East of the Apalachicola River) and its annexation to the established Diocese of Savannah. The ten western counties of North Florida, including Pensacola, remained in the Diocese of Mobile until 1968. The Civil War, which began in 1861, brought even more hardship to the area. Father Patrick Coyle of St. Michael’s was commissioned a Confederate chaplain to care for the Southern troops, and Bishop Quinlin of Mobile sent six Daughters of Charity to staff the military hospital. 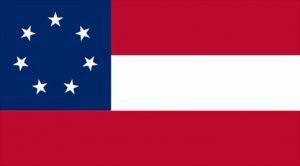 In May of 1862, the Confederate troops abandoned Pensacola. Ninety percent of the population left, the sisters returned to Mobile and the local government evacuated to Greenville, Alabama. During this absence. an empty St. Michael Church was destroyed in a fire. After the War, Bishop Quinlin immediately went about securing funds to rebuild St. Michael, and a new church was dedicated in 1867. This wooden church building on New Street (now Government Street) was near present-day Jefferson Street. Although Pensacola possessed one of the finest deep-water harbors in the South, it lacked the one feature necessary for commerce: a navigable river to the interior. With the completion of a rail connection north to Montgomery in 1870, followed by an east-west rail line in 1883, Pensacola became a true boomtown! Ships from all over the world came into Pensacola Bay to load lumber from the logging operations of the great Southern Pine forests of Alabama and Northwest Florida. In addition, millions of tons of Pensacola Red Snapper were being shipped north in refrigerated rail cars. In 1882, Father John Baasen was named Pastor of St. Michael’s. Born in Prussia, this zealous missionary had traveled throughout Alabama and West Florida by horseback and train, prior to assuming his new post. But no sooner had he arrived, then St. Michael Church was again destroyed by fire during a raging Yellow Fever epidemic. Fr. Baasen had also contacted the disease while attending sick parishioners and, according to accounts of the time, was carried out of the burning rectory on a cot. After the fire, Father Baasen recovered from Yellow Fever. While his congregation met in temporary quarters, construction began in 1883 on the new (and current) St. Michael Church. It was normally dedicated on June 6, 1886 by Bishop Jeremiah O’Sullivan of Mobile. The exterior walls were of the very best red brick made in Kehoe’s brickyard (later covered with stucco). The interior woodwork was all Florida pine, stained and polished. The vaulted pine ceiling is formed by rows of arches set atop support columns. Total cost was $27,000. In 1897, pews were installed in the church. As was the custom of the time, families were charged a “pew rent”, which was a major source of financial support for the parish. A card with the family’s name was inserted in a metal holder on the end of the family’s pew. While pew rents are no longer in use, the card holders serve as a reminder of this by-gone custom. During the pastorate of Father J. P. McCafferty (1900-1903), a number of additional improvements were made to the church. A new organ was installed and large, life-like Stations of the Cross, all memorials bearing the names of pioneer Catholic families of Pensacola, were added. Art glass windows with ecclesiastical symbols were installed when the church was built. During the pastorate of Father Robert Fullerton (1904-1926), they were replaced by magnificent new stained glass windows, which today form one of the artistic treasures of Pensacola. The unique bowed altar rail, certainly a fine example of the cabinet maker’s art, was fortunately preserved during mandated changes to the sanctuary after Vatican II. There are two kinds of basilicas: major basilicas and minor basilicas. The world’s four major basilicas, or papal basilicas are in Rome. Minor basilicas are both in Rome and elsewhere throughout the world. Minor basilicas are given special ecclesiastical privileges by the Holy Father. A basilica is expected “to be a center of active and pastoral liturgy” according to the 1989 Vatican document regarding the sacredness of worship space. In a minor basilica, all the liturgical roles for congregation members are to be promoted, liturgical music is to be prayerfully developed, and special feasts days and devotional practices are to be observed. The feast days include the World Day of the Sick on February 16th, the feast of the chair of Peter on February 22nd, the solemnity of the apostles Peter and Paul on June 29th, election or inauguration anniversaries of the pope, the titular of the Basilica and the basilica’s anniversary of consecration. Devotional practices include regular scheduling of the Sacrament of Reconciliation, frequent and regular times for Eucharistic Adoration, Stations of the Cross, devotional practices honoring the Blessed Virgin Mary, and Lenten penitential practices. There are three symbols that indicate that a church is a minor basilica. 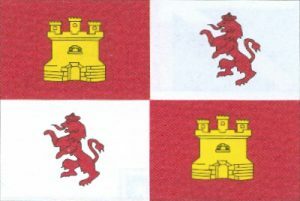 The first symbol is a conopaeum, a silk canopy or umbrella designed with stripes of yellow and red, traditional papal colors. The second symbol is the tintinnabulum, or bell. It is mounted on a pole and may be carried in processions. These symbols are located to the right of the Annunciation window. The third symbol is the papal coat of arms affixed on right pillar outside the main entrance to the Basilica. Top Center – the ombrellone associated with a Basilica. Crossed Keys – indicate the Pope’s power to bind and loose. Sword and Scale – Saint Michael is depicted brandishing a sword in triumph over Satan subdued at his feet. The purpose of the scales is not to measure justice, but to weigh souls. The primary role of Saint Michael the Archangel is to be the advocate of justice and mercy in perfect balance – for justice without mercy is little more than vengeance. The Tintinnabulum, like the Ombrellone, indicates that this building has a special relationship with the Holy Father. And, like the Ombrellino, the Tintinnabulum is permanently displayed in the Sanctuary. It is unfortunately inevitable that, after enduring numerous fires and hurricanes over its history, so many early parish records of St. Michael have been lost. That any survived is testament to the efforts of its pastors and priests to preserve and protect them. The earliest records still in existence are “Book 2 of Matrimony” dating from 1811 and “Baptism of Negroes”, dating from 1817 (and ending, as a separate record, in 1882). The “Record Book of Funerals of White Persons of the holy catholic church of Pensacola, West Florida” dates from 1840. The earliest records still in existence are “Book 2 of Matrimony” dating from 1811 and “Baptism of Negroes”, dating from 1817 (and ending, as a separate record, in 1882). The “Record Book of Funerals of white Persons of the holy catholic church of Pensacola, West Florida” dates from 1840. Early entries were recorded in either Spanish or Latin. Some entries in English began in 1835 with the pastorate of Father Symphorian Guinard. During the pastorate of Father Robert Fullerton (1904-1926), the magnificent stained glass windows were installed in St. Michael’s Church and, collectively, form one of the artistic treasures of Pensacola. The windows were designed and produced by Emil Frei, whose work is recognized as an unsurpassed example of the Munich Style of Pictorial Stained Glass. The Bavarian-born Frei studied at the Munich School of Fine Arts before immigrating to the United States in the 1890s. In 1898 he opened the Emil Frei Art Glass Company in St. Louis and was quickly recognized for his talent and skill. Frei created his masterpieces from lead crystal glass painted, detailed and fired to create strong, vibrant, high translucency colors with subtle gradations of hues and textures. The cruciform shape of St. Michael’s Church creates focal areas and each area, by its architectural form and orientation to the sun, contributes to the development of certain ideas. 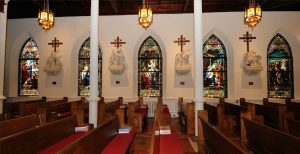 The traditional function or purpose of stained glass in church windows was to enhance the celebration and environment by surrounding the rite with appropriate color, light and content. The color and light change from the rising sun to the setting sun while the message contained in their content remains the same: Jesus’ birth, life, death and resurrection, which is the basis of the Eucharistic Liturgy. The south transept windows of the church focus on Mary, the Mother of Jesus. On the south side of the minor altar of the Blessed Virgin the window depicts the Assumption of Mary (W1). Next are windows depicting events leading up to Jesus’ birth: the Annunciation (W2) by the angel Gabriel and the Visitation (W4) by Mary to her cousin Elizabeth. The Birth of Jesus (W3) is shown in the large gable window above the south door. Continuing along the south wall toward the Narthex door, Jesus’ life as a child and young adult is portrayed: Flight into Egypt (W6), the Holy Family (W7), Jesus Preaching in the Temple (W8), Saint Joseph’s Carpenter Shop (W9) and the Wedding Feast at Cana (W10). Major events in Jesus’ adult life are depicted on the north wall: Christ Calling His First Disciples (W15), Transfiguration (W16), Adulteress Anointing Jesus’ Feet(W17), and Jesus Raising Jairus’ Daughter (W18). The final activities in Jesus’ life are in the north transept windows and begin with Jesus Entering Jerusalem (W20), the event which begins Holy Week and culminates in The Resurrection (W21) shown in the large gable window above the north door. One of the final activities in Jesus life is evident in the window where Jesus Gives Peter the Keys to the Kingdom (W22). On the north side of the minor altar of Saint Joseph is Saint Joseph with Rod and Lilies (W23). High above the altar at the west end of the church is a smaller gable window with the Eucharistic Symbols of the Body and Blood (W24). At the east end of the church, above the choir loft, is the rose window of Saint Michael the Archangel (W12), patron of Saint Michael Parish and the Diocese of Pensacola-Tallahassee. The windows of Saint Gregory the Great (W11) and King David (W13) are on either side of the rose window but are not visible from the body of the church. Additionally, there are two narrow stained glass windows, which obviously held personal meaning for the Irishman, Father Fullerton, a member of the St. Aloysius Society. Best viewed from the perspective of the altar, the window of St. Patrick (W5) is behind the last pew in the south arm of the church and the window of St. Aloysius (W19) is behind the last pew in the north arm of the church. In 1954 a stained-glass window summarizing the Apostles Creed (W14) was designed by the Rambusch Company of New York. This was installed in what is now the Confessional, located in the northeast end of the church, and is visible from the vestibule. The fourteen Stations of the Cross were installed some years after the church was completed, probably about 1895, as memorials bearing the names of pioneer Catholic families. These nearly life-sized statues portray Jesus’ walk up to Mount Cavalry. Constructed of a type of papier-mâché and horsehair on a wire frame, they were originally painted in full color. A Gaelic Cross is above each station. At the base, two cherubs hold a ribbon with the Roman numeral and name of each station. In 1986, due to deterioration from a leaking roof, the stations were stripped, sealed and covered with a marble-like coating. The original major altar stone of St. Michael’s Church was moved to the marble altar table during the liturgical changes in 1962. It contains relics from the bones of Saint James the Greater, apostle and Saint Francis of Paula, confessor; clothing of Saints Vincent de Paul and Camillus of Lellis; garment of Saint Rita, and part of the sepulcher of Saint Margaret Mary Alacoque, virgin. The date of documentation is July 27, 1920. The minor altar of the Blessed Virgin Mary to the south of the main altar contains the relic from the bones of Saint Benedict, abbot, whose rules and principles became the basis of all Western religious orders after his time. The date of documentation is July 10, 1920. The minor altar of Saint Joseph with the Child Jesus to the north of the main altar contains the relic from the grave of Saint Aloysius Gonzaga, confessor and patron of Catholic Youth. The date of documentation is July 10, 1920. The most notable relic possessed by the parish is a relic of the True Cross, with date of documentation May 30, 1870. This antique gold cross-shaped reliquary is kept in a secure safe and is brought out for veneration of the faithful in Lent, on Good Friday and on the feast of the Exaltation of the Holy Cross. A more recent relic is that of Saint Elizabeth Ann Seton with documentation. The many sacred vessels belonging to the patrimony of St. Michael Church are made from gold, sterling silver or gilded metal. 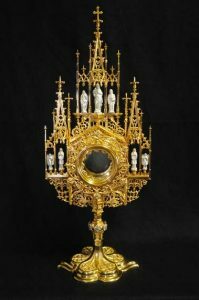 The monstrance is the vessel used to display the consecrated host during Eucharistic Adoration or Benediction of the Blessed Sacrament. Though not original, Saint Michael’s gold and gilded silver monstrance is quite ornate, in keeping with the period (Victorian) in which the church was built. The chalice, the most important of all vessels in church use, is the cup in which the wine and water of the Eucharistic Sacrifice is contained. 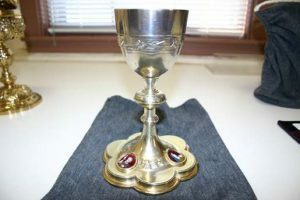 According to existing Church law, the chalice, or at least the cup, must be made either of gold or of silver, and in the latter case the cup must be gilt on the inside. Quadracentennial chalice – designed for Saint Michael Parish as a memorial gift from a local family to commemorate the 400th Anniversary of Pensacola in 1959. Cusick chalice – the personal chalice of Monsignor William J. Cusick who was ordained August 9, 1920. Msgr. Cusick was pastor of St. Michael from 1939 until 1970. Carroll chalice – the personal chalice of Father William A. Carroll who was ordained on May 21, 1941. This eight acre tract in the heart of downtown Pensacola dates back to 1781 when it was first used as a burial place by the Spanish. The land was officially designated a cemetery by the King of Spain in 1807 and granted to St. Michael Parish. The revenue from the sale of lots was intended “to provide the bread and wine for the Holy Sacrifice.” The oldest documented tomb is that of Jose Roig who was born in Catalonia, Spain in 1727 and died in Pensacola in 1812. In 1824 the West Florida Land Commission approved the site for continued use as a graveyard. St. Michael was the only burial ground in the city until 1876. St. Michael CemeteryThe Future is Exciting! This eight acre tract in the heart of downtown Pensacola dates back to 1781 when it was first used as a burial place by the Spanish. The land was officially designated a cemetery by the King of Spain in 1807 and granted to St. Michael Parish. The revenue from the sale of lots was intended “to provide the bread and wine for the Holy Sacrifice.” The oldest documented tomb is that of Juan Roig, who died in 1812. In 1824 the West Florida Land Commission approved the site for continued use as a graveyard. St. Michael was the only burial ground in the city until 1876. Pensacola, in the late 1800’s and early 1900’s, was a major rail and seaport center for lumber distribution and drew immigrants from around the world seeking to make their fortunes. A visitor in 1884 described the harbor filled with ships from Russia, Denmark, Germany, England, France, Spain, Norway, Italy, and Australia. Many of these pioneers, of all religions and nationalities, are buried in St. Michael beside long-time Spanish Catholic residents. Don Manuel Gonzalez at whose home, north of town, General Andrew Jackson and his wife Rachel awaited Spain’s surrender of Pensacola to the United States. Rev. Patrick J. Buckley (1892-1941). Over the past 200 years, Saint Michael Cemetery, like many other urban cemeteries, has suffered from vandalism, neglect, and natural aging. With the added impact of hurricanes and war, the physical deterioration of such a large area in the center of town became a source of community embarrassment. 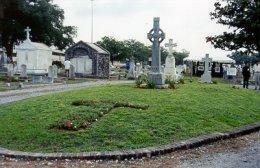 In 1965, the cemetery was deeded to the City of Pensacola, and later the City deeded it to the State of Florida. Today, it is designated a State Park and is administered by a volunteer board. Recognizing the historical importance of the site, residents of Pensacola are supporting a major restoration project at the cemetery. In June of 2000, St. Michael Cemetery was named an official project of Save America’s Treasures, a public-private partnership between the White House Millennium Council and the National Trust for Historic Preservation. Save America’s Treasures is dedicated to the preservation of our nation’s irreplaceable historic and cultural treasures for future generations. Geographers from the University of West Florida surveyed the cemetery using a Total Station (a precision surveying instrument). A map was constructed in a computer-based Geographic Information System (GIS) and a database, with ancillary information about the graves and photographs of the grave markers, was developed. The map and database are available to the public via the Web (see the UWF-GIS link at the end of this page) and in hard copy format. The Web-based map is interactive and information about a grave can be displayed by clicking the map. The Search for the Hidden People of St. Michael’s Cemetery, a joint project between the University of West Florida and the University of Mississippi, identified unmarked burials in St. Michael’s Cemetery using ground penetrating radar (GPR), soil resistance measurements (SRM) and thermal imaging. These unmarked sites are being added to the GIS map. The cemetery continues to undergo repair to historic markers and fences as well as restoration of existing walkways and historic plantings. The cemetery has a positive effect on the urban environment of downtown Pensacola, and provides a tranquil green zone for all its citizens and visitors. The restoration of Saint Michael Cemetery is an excellent example of preserving our past to benefit our future! 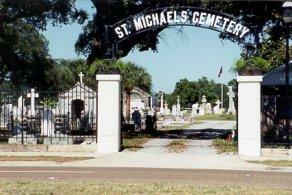 St. Michael’s cemetery is located in downtown Pensacola at the southern terminus of I-110, just south of the Civic Center. 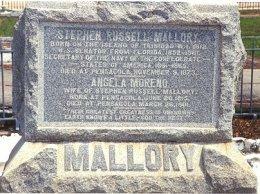 For more information about the cemetery, visit the official Web site at http://www.stmichaelscemetery.org There you will also find links to the University of West Florida’s GIS interactive map and graves database of over 3200 marked graves in the cemetery. The first school associated with St. Michael Parish actually dates to 1860, but its operation was interrupted by the Civil War. 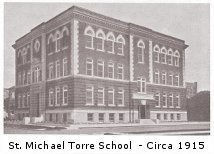 Beginning in 1871, the Sisters of the Holy Cross operated St. Michael Academy and Parish School. Then in June 1877, seven Sisters of Mercy from the Motherhouse in New Orleans, Louisiana, responding to a request from Bishop Quinlan of Mobile, set sail for Pensacola in preparation for the opening of a new school. 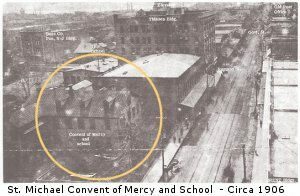 Plans were finalized and Saint Michael School officially opened in 1877 in a large, two-story, sixteen-room house where the sisters lived and taught. The first school associated with St. Michael Parish actually dates to 1860, but its operation was interrupted by the Civil War. Beginning in 1871, the Sisters of the Holy Cross operated St. Michael Academy and Parish School. Then in June 1877, seven Sisters of Mercy from the Motherhouse in New Orleans, Louisiana, responding to a request from Bishop Quinlan of Mobile, set sail for Pensacola in preparation for the opening of a new school. St. Joseph School for the Colored on Baylen Street. 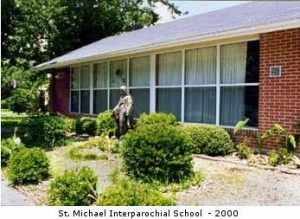 For the next forty-seven years, St. Michael Interparochial School served a culturally diverse student body with quality education and Catholic principles. However, the demographics of a declining school-age population, coupled with rising costs in a number of areas, brought about the decision to close St. Michael as an Interparochial School at the end of the 2008 school year. In late 2009, he property was purchased by the Episcopal Day School of Christ Church Parish to house an early childhood curriculum based program. To pay tribute to the long and honored place that St. Michael’s has held in the Pensacola community, the property has been designated the Episcopal Day School, St. Michael’s Campus. We hope that reading through these pages has inspired you to pursue a more in-depth and more scholarly study of the fascinating history of Pensacola and of the birth and growth of the Catholic faith in Northwest Florida. This booklet was published to commemorate the 100th anniversary of the dedication of the present St. Michael Church building at Palafox and Chase streets in downtown Pensacola. Msgr. Cusick was pastor of St. Michael from 1939 until 1971. Mrs. Dawkins did extensive research on St. Michael Church. Dr. Gannon is a professor of history at the University of Florida in Gainesville. His most interesting and readable book, first published in 1965, researches the history of Catholicism in Florida over its more than 400 year history. Virginia Parks has written extensively on the history of Pensacola and has been the editor of several books published by the Pensacola Historical Society. In this book, she brings together the many intriguing periods in Pensacola’s history. A compilation of articles by recognized authorities on various aspects of the history and archaeology of the 1698 settlement of Pensacola. Among the contributors are J. Earle Bowden, William S. Coker, and Dr. Judith A. Bense. “Documentation for Consideration by the Sacred Congregation of Divine Worship and the Discipline of the Sacraments for the Elevation of Saint Michael the Archangel Church No. 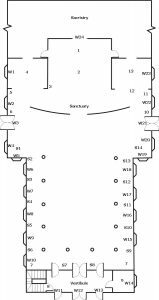 4324/85/6 to the Rank of Minor Basilica.” This 138 page document of photographs and history was prepared by Dr. Semmes, with assistance from current and former pastors, parishioners, and bishops, and was first submitted to Rome for consideration on February 23, 2001.
http://dhr.dos.state.fl.us/archaeology/projects/shipwrecks/emanuelpoint/history.cfm – The extensive Web site of the Florida Department of State, Bureau of Archaeological Research, contains up-to-date information on the many ongoing archeological and research projects throughout the state. This link details the 1559 settlement of Don Tristan de Luna y Arellano. http://uwf.edu/archaeology/research/colonial/ – The University of West Florida’s Archeology Institute, under the direction of Dr. Elizabeth Benchley, has many ongoing projects in and around the city. 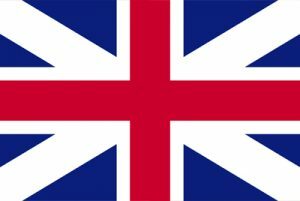 This site details the Colonial period beginning in 1698.